I’ve temporarily run out of steam on my sock monkey production. Well actually, I have five different monkeys in various states of doneness at the moment and I’m feeling a little bit overwhelmed by it. And when I feel overwhelmed, I procrastinate! 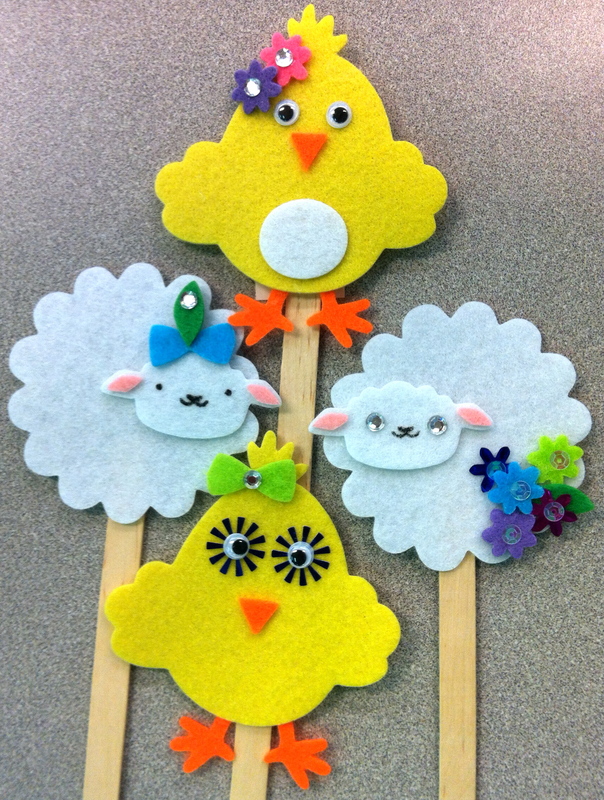 Enter the Easter crafting…. 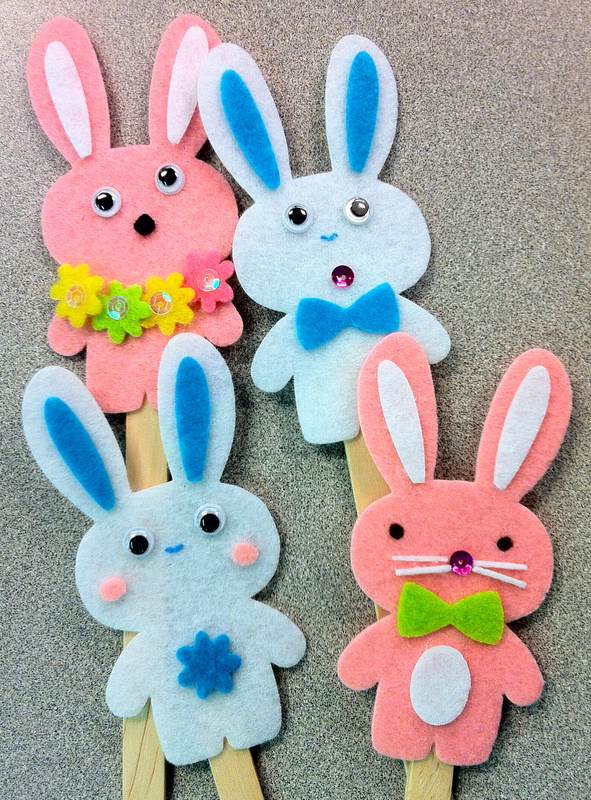 I picked up these “finger puppet” kits at the craft store, on sale for $1.50. The kits contained four felt figures, an assortment of precut flowers and “ties”, a few rhinestones, craft sticks and the pattern for where to glue the bits on. I thought the kit was a good jumping off point, but I wanted more. Being the committed thrifter and garage saler that I am, I have loads of extra crafting bits – vintage sequins, novelty beads, felt and googly eyes to name a few – that I thought would be the perfect enhancers to bump up the volume on these kits. It also meant not following the “how to” pattern. I’m not against all-out cute, but I also wanted to balance it with some funny and kooky.